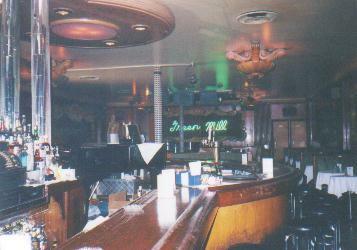 The Green Mill is one of the most popular spots of the bygone gangster era that is still around today. 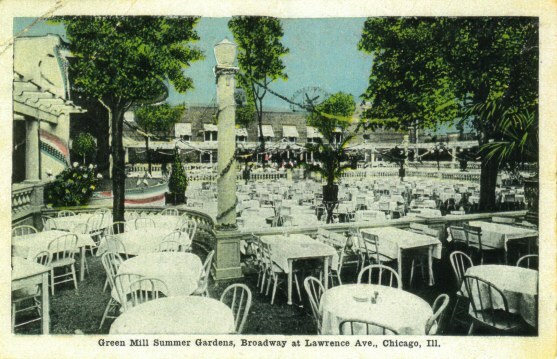 The Green mill Gardens was originally a 25th ward roadhouse run in the early 1900's by a man known as Pop Morse. In September of 1910, Tom Chamales negociated a deal through brokers Young and Johnson with landowner Charles Hoffman to lease the land for 15 years on condition of building and expanding the former Morse Roadhouse situated at then Evanston and Lawrence Avenues. (The latter later becomes 4800 Broadway). He would pay $11,000 a year rent and buy all the fixtures inside worth $20,000. Chamales also had to make $30,000 of improvements following the 6 months after his signature dried on the contract. Plans of a huge sunken garden were made, a place where revellers could feast on the outdoors in the summer months listening to an orchestra. The whole area ran 138' by 150' including a music hall and restaurant had a garden was enclosed in the Winter time and thrown open for the hot summers. Originally known as Pop Morse's roadhouse the new Green Mill Sunken gardens was now owned by Thomas Chamales. 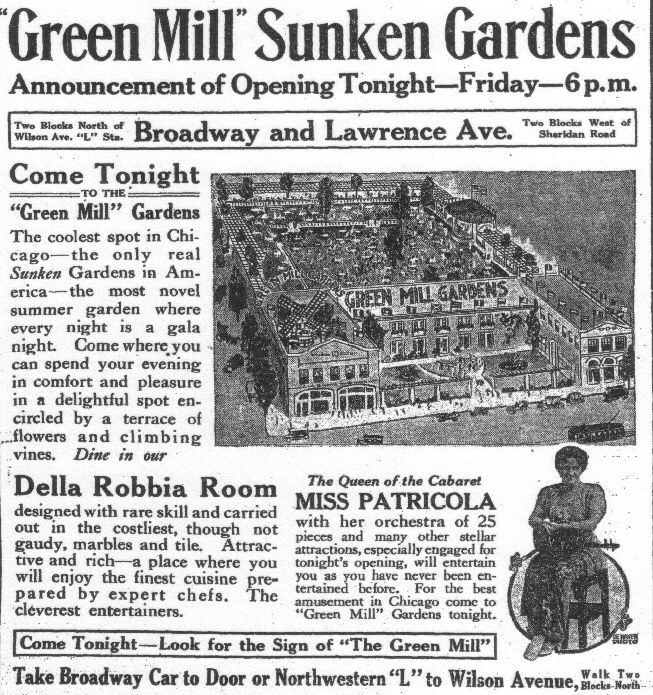 This ad announces the new grand opening for June 26, 1914. 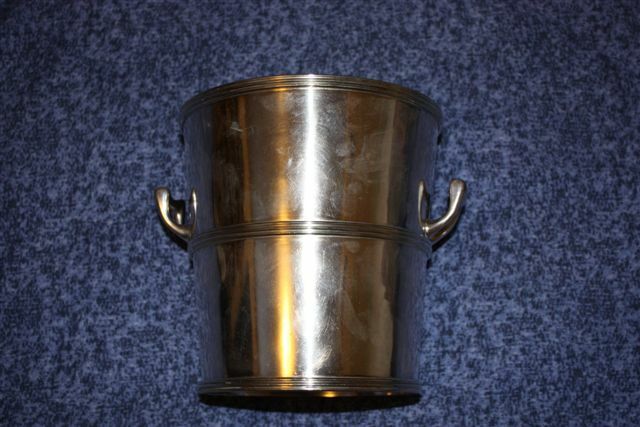 Champagne bucket from the Green Mill Gardens circa 1914. On July 24, 1915, a disaster struck the city of Chicago. A local passenger boat called the S.S. Eastland capsized before launch killing 845 passengers and crew. Various papers such as the Chicago Tribune, Chicago Herald and the Chicago Examiner formed fundraising committees. Annenberg's Tribune, the most popular fundrasing enterprise, generated the most interest. The Green Mill also sprung into immediate action to help victim's families by hosting benefit shows to raise funds. All the major cabaret stars put their competiveness aside to join up at the Green Mill to raise money. Stars of the day like Miss Isabella Paricola, Joseph Santley, Ruth Randall, Valli Valli, Roy Atwell and Marguerite Kenvin Rafferty appeared as well as many others. Lots of money came pouring in, so much so that then Mayor Wiliam Hale Thompson had to place an ad in the newspaper thanking and letting people know that their charitable goals had been met and then some. In 1918, the landowner of which the Mill was standing on was essentially foreclosed by the Government's heavy restriction on the sale of liquor and the impending Prohibition act. Hoffman claims because of alcohol restrictions the Mill couldn't reap the benefits intended. He had two mortgages on the land amounting to $95,000 which he had to pay back to a Charles K. Anderson. Anderson having recieved no payment had no choice, but to file the foreclosure in court. Chamales assured the public that the Green Mill would continue to operate no matter what, as the affected property was not the one onto which his Mill was situated and also due to the fact that he was only the owner of the building, and not of the mentioned foreclosed land. Chamales will start buying up various properties around Chicago from the Green Mills profits and will eventually own the half interest in the land on which his Mill stands. 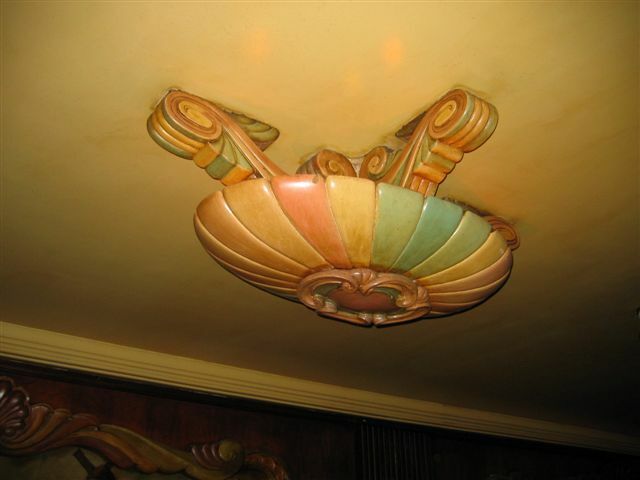 In the 1920's Chamales operates the Green Mill Cafe with so much success that he was once offered 1 million for it. He refused the offer. Many times police conduct raids on the Green Mill for prohibition violations. Police find it hard to make charges stick when a bottle of whiskey is found under the table amongst five patrons all of whom claim the bottle isn't theirs. 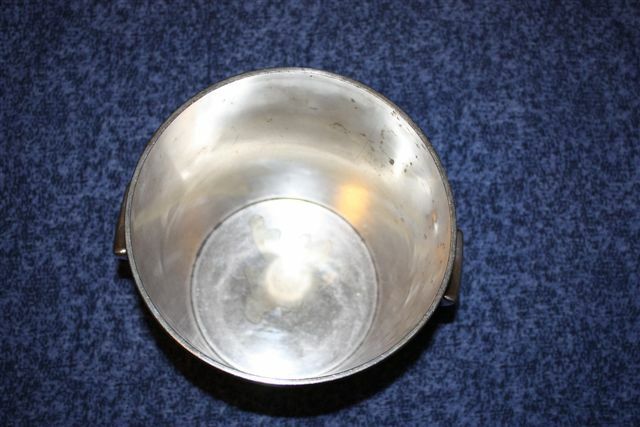 Underside of the silver and nickel champagne bucket. In May 1923, Balaban and Katz had paid $400,000 to Chamales for the land that now occupied the Uptown theater. 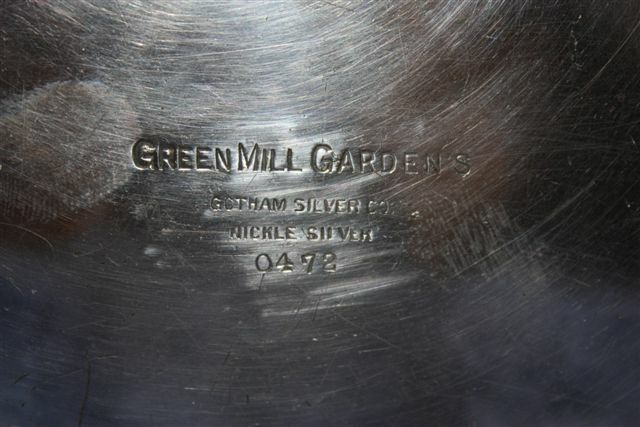 Chamales had kept the Green Mill sort of intact, but nontheless reducing it's original size. 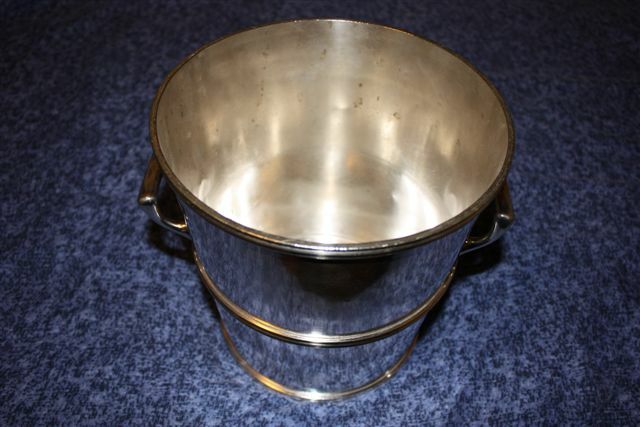 Who knows what celebrity had his Champagne sitting in this bucket. Names like Sophie Tucker, Helen Morgan, Charles Chaplin, Al Jolson and Eddie Cantor were just a small sampling of the who's who that partied at the Green Mill. Close up of name and company who made this piece. 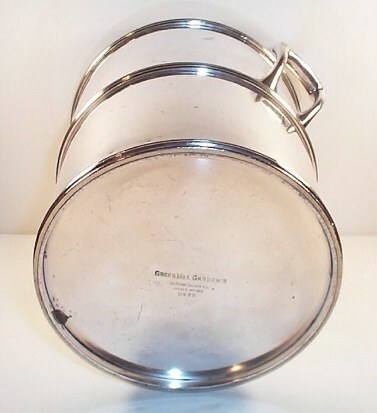 Gotham Silver co was a New York based company who made top notch quality restaurant and hotel silverware for major restaurants and hotels around the U.S. In the Summer, simple ads such as these would appear enticing partygoers. 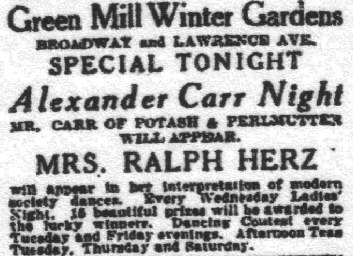 In the Winter the ad would change the name to Green Mill Winter Gardens. Texas Guinan and the Green Mill. 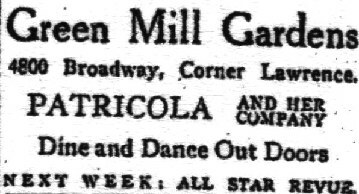 One of the newsworthy events that happened at the Green Mill was when party fun girl Texas Guinan (real name Mary Louise Cecile Guinan) came to the Green Mill. 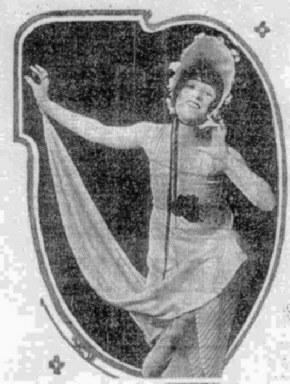 In the spring of 1930, her agent had rented out the Green Mill for a couple of weeks. The huge profits made there would be to pay the rent and whatever was left over would go to her and her troupe. On March 24,1930, at about four in the morning, three shots rang out inside the Mill. Leon Sweitzer was nicked by the shots. The shooters were Guinan's self imposed manager Harry Voiler and his bodyguard Arthur Reed. Voiler and Reed are both ex-convicts. Sweitzer and his partner Leonard Leon had sublet the Green Mill to Voiler and Guinan in December. 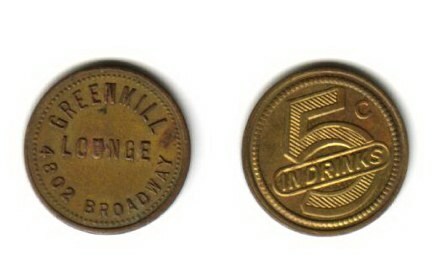 Sweitzer and Leonard had given up their ownership in the Green Mill club and opened one called The Little Club. Voiler had refused to continue paying Sweitzer upon the agreed date of May 1st. An argument ensued and Voiler whipped out gun and started shooting. The Green Mill as a result is closed down for days. Guinan and her troupe move on back to New York and then Europe. During this Guinan appearance, Leo Vincent Brothers, who is later convicted of shooting and killing Tribune reporter Alfred "Jake" Lingle is hired at the Green Mill as a manager and bouncer for the princely some of $100 a week. Brothers was hired through gangster connections. By then the gangster element was deeply rooted into the Green Mill. 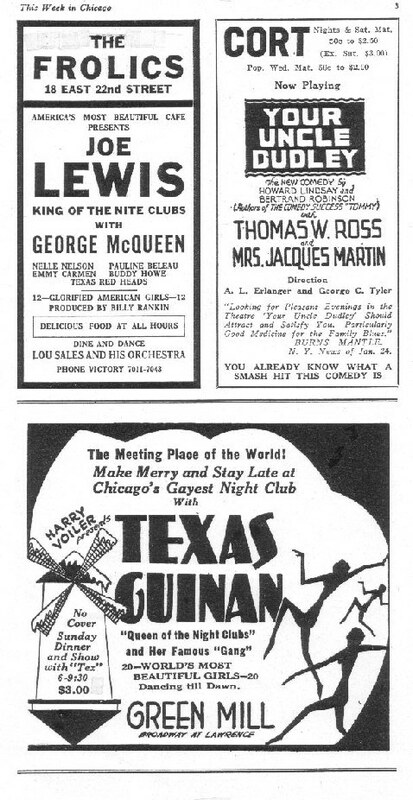 Texas Guinan name on the Green Mill's marquee 1930. 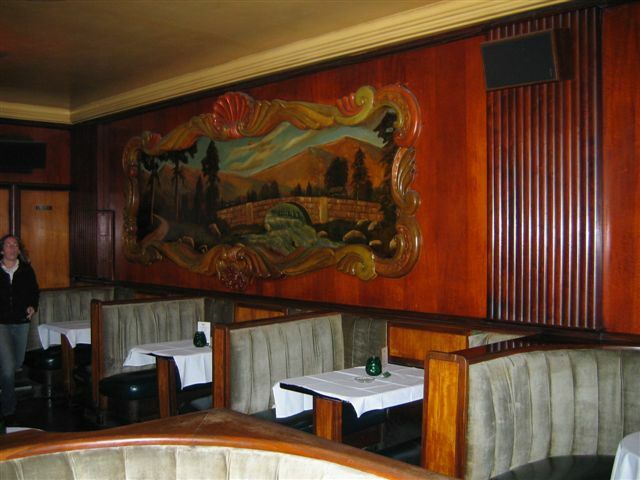 Comfy booths in the Green Mill. Green Mill bar towards front entrance. Supposed Alfred Lingle hitman Leo Vincent Brothers. In May of 1931, Walgreen's leases part of the old Green Mill Gardens land to build a corner drug store. 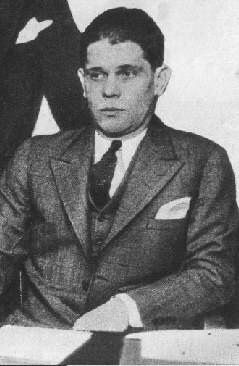 In January of 1932 Tom Chamales is in debt to the banks for several properties. By then the gross yearly rentals of which he has half interest for the Green Mill is $45,000. 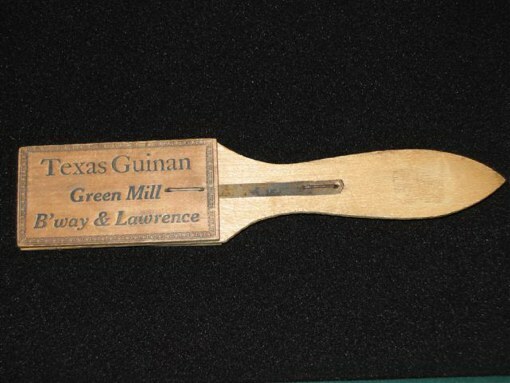 In November of 1931, Hoffman and Chamales lease part of the Green Mill to Earl J.F. Stein to build a ballroom. Over the decades, It has changed hands, has had many managers and also address number. The original address of 4800 is now 4802 Broadway. 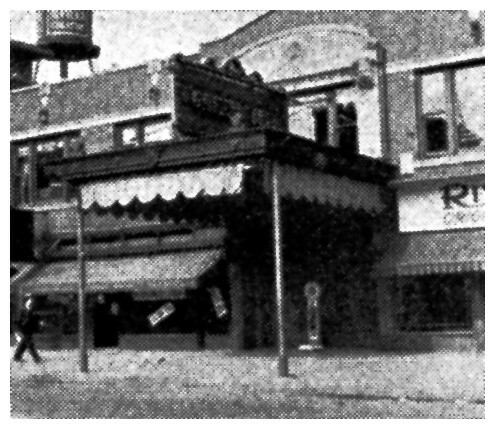 The current 4802 broadway address was originally used as a real estate office in the late 30's by former Green Mill owner Tom Chamales. Several months prior to the 1939 sale, the indoor show part of the old sunken gardens and cafe was remodeled into a ballroom called the Paradise. The Green Mill Cafe circa 1930. 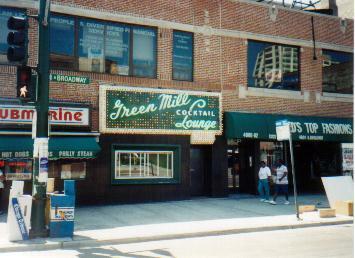 The Green Mill today, known as the Green Mill Cocktail lounge has sizeably shrunk from it's original inception of 1914. 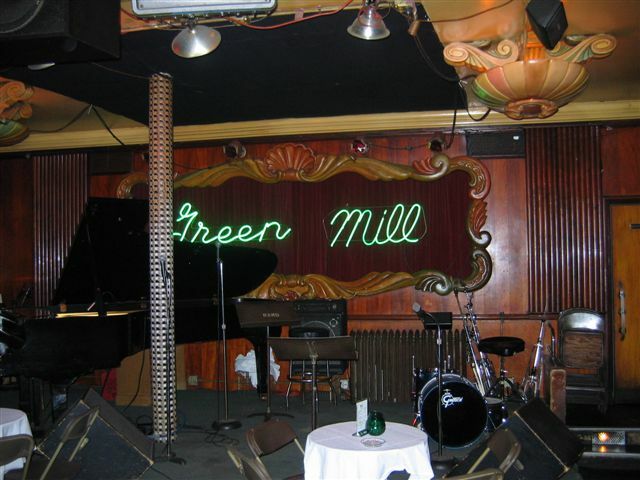 On August 11, 1939, The Green Mill was sold for $210,000. It was purchased by unknown persons from John L. Patten whose dad was a famous board of trade operator. Patten had obtained the land and building once Chamales had foreclosed on a mortgage he took out on the property. 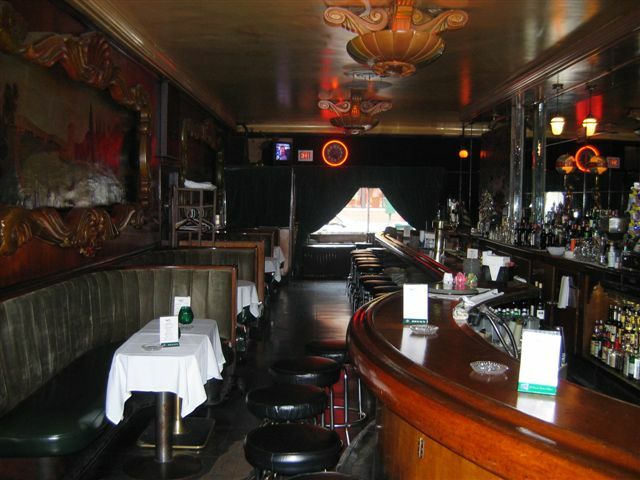 The Green mill still has some of the original furnishings, such as the bar. 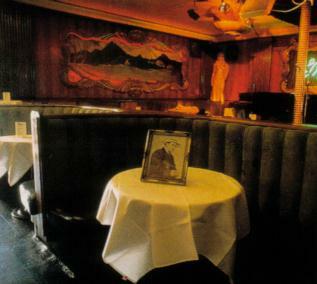 Inside Green Mill on the table is a fake autographed photo of Al Capone. Some state Capone had a special table facing the two doors. Truth is Capone could of sat anywhere as the club was closed when Capone entered and people inside couldn't leave when Capone was inside. This was a matter of Capone's security. Patrons were given free drinks all night for their inconvenience. 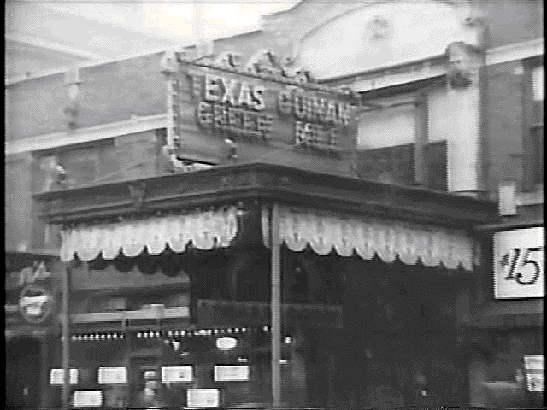 On July 12,1963, Thomas T. Chamales, who was one of the first Greek settlers in Chicago and was reknowned as the Green Mill owner passes away in Newport, R.I. He had owned many clubs Hotels and properties during his lifetime. His late son Thomas Jr. was an author who wrote "Never So Few" and "Go Naked In The World." 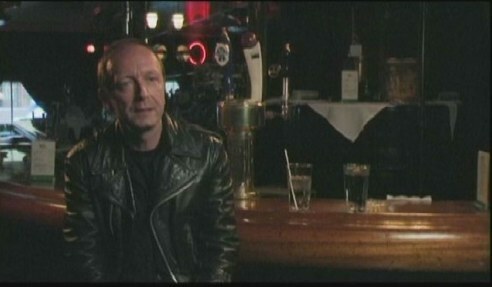 Yours truly during the Home and Bunker / Al Capone documentary inside the famous Green Mill. 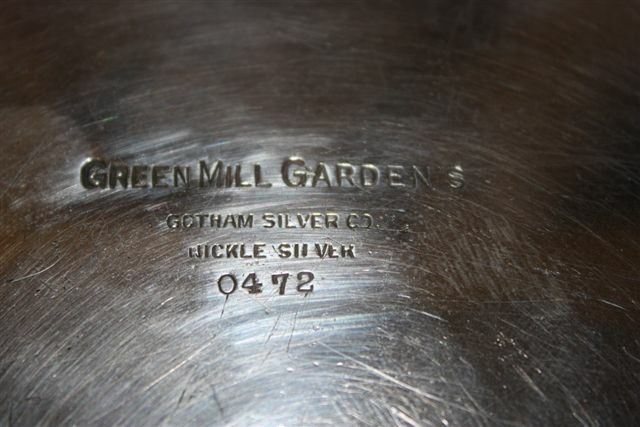 The Green Mill is still very popular today. Many Hollywood movies were filmed inside it. Many celebrities have visited it as they had done in the past. Even world reknowned Johnny Depp took a break from filming to soak up some jazz during his Dillinger shoot. Special thanks goes to Mr. Dave Jemilo, who bought the run down Mill and turned it back to it's glorious days.